I don't usually post on Sunday, but with our weather and snow days I didn't get a chance to get this completed and posted...so here it is before the inspiration challenges close out. I began by die-cutting a butterfly I created using washi tape. I had two felt flowers on my desk from a previous make that I added to the center topping it off with a button laced with twine. I added two more strips of coordinating washi tape onto the patterned paper before adding the doily and the washi tape butterfly. I stamped a sentiment from Paper Smooches Giddy Bugs in the lower right corner. Super pretty! Love the color combination. Gorgeous! LOVING the colors and the butterfly!!!!! Great use on the washi tape, Tammy. Love the colors and the butterfly! Such a fun way to use washi tape! Love it, Tammy! so pretty.. loving all the orange and that butterfly is perfect..
Beautiful and bright! I love your design! I LOVE your card Tammy!!!! Such a fun LO and LOVE all the orange! Mmm I'm thinking of clementines, oranges, tangerines, orange crush, orange popsicles!!! This is so fresh and happy Tammy, super cute!! fabulous use of washi!!!! Thanks for joining us at Colour Me! Oh my goodness, this is stunning!!! Thank you for joining us at CCCB this week! oooh, I am loving all the orange here, Tammy! Orange seriously makes me happy, happy! What a fabulous use for washi tape. Love how you did the butterfly and love that you added some more tape in the background. The doily is really beautiful behind the butterfly, too! 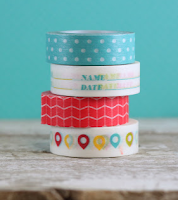 Love those bright, cheery washi tape, thanks for sharing with us at CCCB! This is so bright and happy! Tammy I LOVE your take on our theme; your card screams spring and I know you must have had it with all the snow. I hope you that spring will arrive soon in your part of the world. Thanks so much for joining us at CCCB this week!Good to have you with us! With your washi tape, felt and doily your card is loaded with beautiful texture, Tammy! 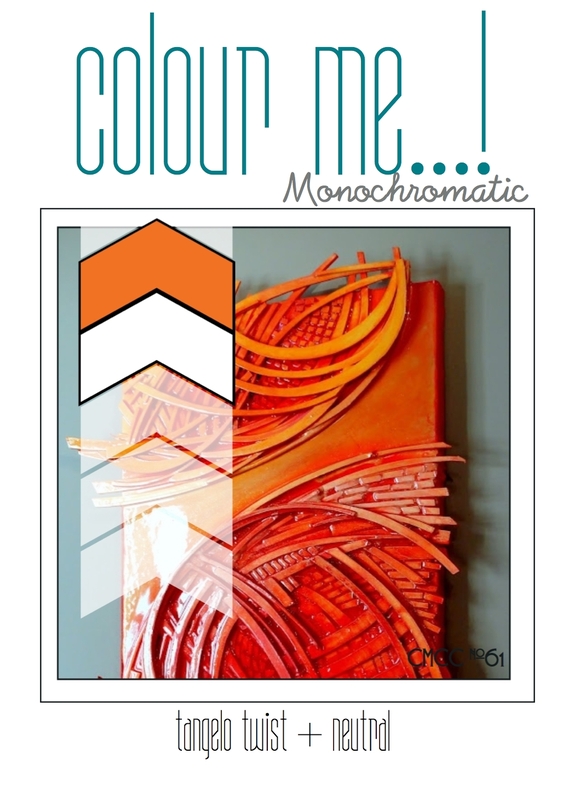 So glad you joined us this week at Colour Me! Oh this is so bright and cheerful!! Love it! Thanks o much for playing along at CCCB!! I absolutely love how you used the Washi tape, Tammy! This is one fabulous card! Stunning card Tammy. Love the doily and fabulous colors.